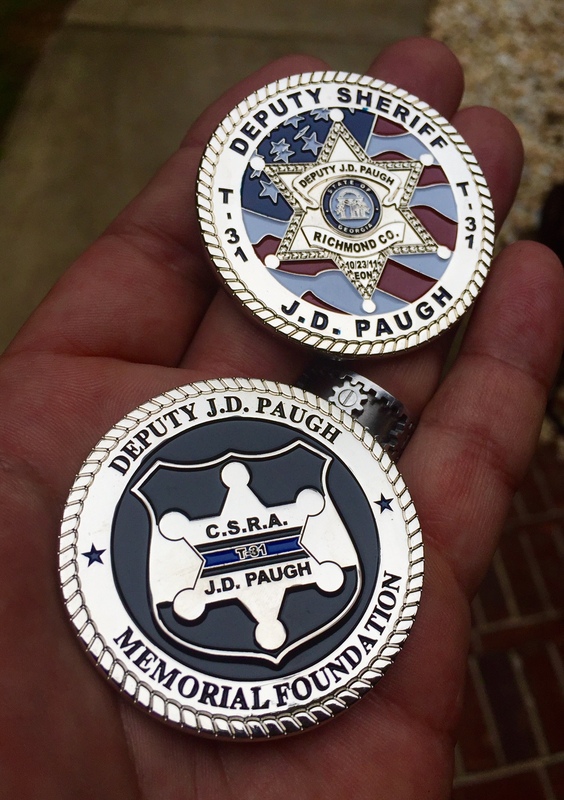 Limited number of Deputy J.D. 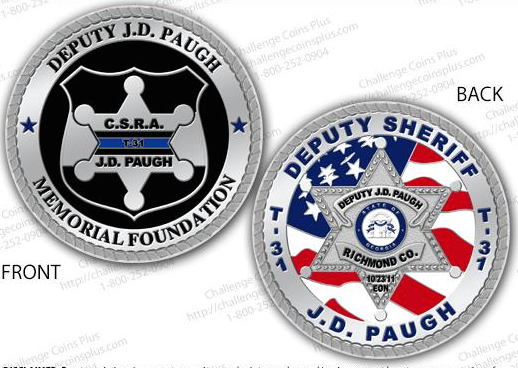 Paugh Memorial Foundation Challenge Coin. See pictured front and back proof. High polished silver metal with recessed detail and enameled color. 2 inches in diameter. Product image is actual coin, front and back.